Sweden’s Frida Kinhult, who won the Spanish Amateur Ladies International Championship earlier this year, will be teeing up in the Andalucia Costa del Sol Open de España Femenino this week, having received an invitation from the Spanish Federation. Frida represented Europe in the PING Junior Solheim Cup in Iowa in August. The PING Junior Solheim Cup is part of the LET’s LETs Play strategy, which aims to bridge the gap between amateur and professional golf by giving amateurs playing opportunities in professional events, to help them develop their games. We caught up with Frida ahead of the tournament, taking place at Real Club de Golf Guadalmina, from Thursday to Sunday. Congratulations Frida! 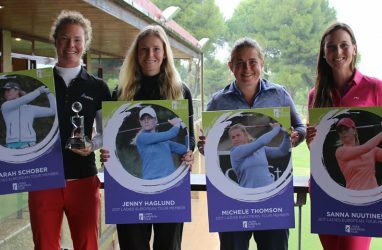 You won the Spanish Amateur Ladies International Championship earlier this year and received an invite to play here in Spain. What are you looking forward to the most during the week here in Spain? I am really thankful to have received the invite. It gives me a great playing opportunity. I played another LET event in 2015 and I have also played in three LETAS events and all of that gave me great experiences and it was exciting to try, but I was not as ready then as I am now. I did not have as many experiences. Now I feel my game is more ready and I feel more mentally prepared. I want to perform at my best and this event gives me a chance to try my playing skills against the pros and learn from it. How have you prepared for the tournament? I try to keep the same routines as I do normally. However, in the last few weeks there have been many match play competitions, the PING Junior Solheim Cup for example, and I decided to play a stroke play junior event in Sweden last week to get into the stroke play mood and thinking. Other than that, I have been practicing as normal in Sweden. I also studied for my last year in high school in Sweden, but at a distance. That gave me the flexibility to practice and allowed me to come to Spain to practice for three or four months after Christmas. You have played on the Swedish National Team for many years and played in amateur events at the top international level, but we would like to know a little bit more about you. I am from Skaftö which is a small island on the west coast of Sweden just north of Gothenburg. I have grown up by the ocean and my father was the teaching pro at Skaftö GK. Instead of going to after-school activities I went to the golf course and I was hanging out there playing around, eating ice cream, having fun and trying some golf. It was a given that I was going to start sooner or later. I also tried many other different sports and I was good at table tennis but when I was 14-years-old I decided to focus on golf. Around this time, I was also picked for the Swedish National Team and that gave me a lot of privileges and practice and playing opportunities. A few years ago, my father decided to stop working at the golf club and instead he now focuses on my brother and I and he is our trainer and travels with us and our mother comes with us when she can. They are both here in Spain. My brother Marcus is also a professional golfer and he plays on the European Tour and the Challenge Tour. It gives me a lot of comfort having my family so close to me. I learn a lot from my brother. Both of us travel a lot but when we are home it is really a bonus to practice together, talk about our experiences and learn from each other. It is nice for me to see his development and hear his strategies and I learn from that. You played for Team Europe in the PING Junior Solheim Cup.  What do you bring with you from this event that will help you in your goal to develop as a professional golfer? I learned a lot of different golf elements. For example, I learned different shots in different types of grass. I learned to read lines on difficult and different greens. My goal is to play as a professional golfer in the future and then I will come to different countries with different types of grass and greens and the sooner I learn to read the breaks the better. I also learned by looking at different players and see how they play and attack the ball and their mental strength and it was an experience to test my abilities against them. It was also a great learning experience to watch The Solheim Cup. They really know how to get the ball to the target and they have amazing distance control. I followed some players that I liked and I looked at them to see how they played the ball. I also learned a lot from taking part in all the different official functions. There are many different activities off the course that we amateurs don’t think about. As amateurs, we are allowed to make mistakes because we are still young, but it was good to get the experience and learn from it before the day I turn pro. Follow Frida’s progress via live scoring this week.